Why is AOPA still fighting against user fees? I was impressed by reports of progress at some of the technical sessions, such as accelerated implementation of DataComm at dozens of airports. At another session we were told that FAA has recently updated its business case for NextGen, which concluded that the benefits by 2030 will total $160.6 billion at an agency-plus-industry cost of $35.8 billion, which—after discounting to net present value—yields a benefit/cost ratio of 3.0. Following the conference, I downloaded both the July 2016 business case update and the PBN Navigation Strategy 2016. Maybe I’ve been too critical of FAA, I thought. Alas, then came the dawn. 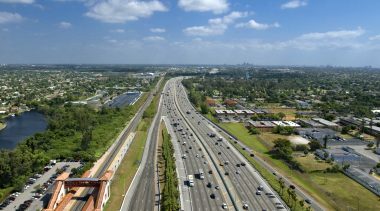 In November both the Government Accountability Office (GAO) and the DOT Office of Inspector General (OIG) released new reports on NextGen that call into serious question the picture painted at the ATCA Annual conference. In its report (GAO-17-241R), GAO was asked by Congress to identify (1) how much FAA has spent on NextGen since 2004, (2) when the agency expects NexGen to be completed, and (3) how much additional funding will be needed to complete this modernization. GAO found that while FAA’s own projected NextGen costs have increased modestly to $20.6 billion (2007 through 2030), their estimated cost to the aviation industry to equip their planes has declined to $15.1 billion: hence, total cost by 2030 will be $35.7 billion (essentially the same number used in FAA’s business case and benefit/cost analysis). Staffed remote towers for large airports. These are changes that actually would transform how air traffic is managed, as opposed to replacing aging equipment (which is most of what is now being done under the rubric of NextGen). For example, as previous GAO and OIG reports have pointed out, the current ADS-B program only includes ADS-B/Out. Assuming that is fully implemented by 2020 as planned, this will provide benefits for controllers in terms of more-accurate real-time surveillance data than provided by radar. But benefits for aircraft operators—intended to be the large majority of ADS-B benefits—depend on the as-yet undefined and not-scheduled implementation of ADS-B/In. That would provide new information displays in the cockpit and would facilitate reduced in-trail separation, more efficient merging and spacing etc. ADS-B’s planned Airport Surveillance capability is also on hold, and its future is in question. 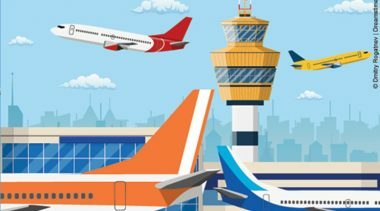 To its credit, FAA has accelerated the schedule for its initial DataComm implementation, which provides for digital departure clearances at 57 large and medium airport towers. But most of the benefits will come from the eventual implementation of DataComm in high-altitude, en-route airspace, which is not due to begin on a modest scale until 2019. Implementing DataComm in terminal airspace is not planned at all. And SWIM, though a great idea in principle (providing common, real-time information to all stakeholders) “has not gained traction within FAA” and is little-used by aircraft operators, since FAA “changed its approach and now expects airspace users to individually develop their own unique applications and interfaces” to make use of raw data provided by SWIM; the previous plan was that FAA would provide such information in ready-to-use format. 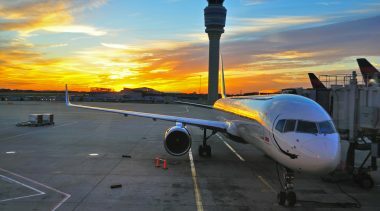 The OIG report concludes by stating that “the transformational programs are now mostly air traffic infrastructure efforts, rather than projects that fundamentally change the way air traffic is managed.” This was the conclusion reached in a May 2015 assessment by the National Research Council, as well. Finally, there is a basic disconnect between the OIG report and the FAA’s 2016 NextGen Business Case. OIG says the costs of NextGen’s transformational programs are highly uncertain and their actual capabilities are still unknown. That means the benefits are also difficult to quantify. And that means it’s hard to take seriously either the $35.8 billion cost or the $160.6 billion benefits estimated in the Business Case report. 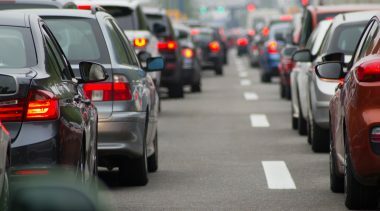 The Government Accountability Office in October released the final version of the report requested by the Democratic leadership of the House Transportation & Infrastructure Committee. “Air Traffic Control: Experts’ and Stakeholders’ Views on Key Issues to Consider in a Potential Restructuring” (GAO-17-131) is an improvement over the preliminary report released in February. In addition to the 32 aviation experts interviewed for the earlier version, the final report also includes interviews with 20 aviation stakeholders on both sides of the ATC corporatization question. Overall, the report is more comprehensive and better-informed by the experiences of ATC corporatization overseas. In fact, more than 50 countries have made this transition since 1987, and they all charge user fees to recover their capital as well as their operating costs. So there is a considerable amount of empirical data available on all the questions discussed in this report on transitions. 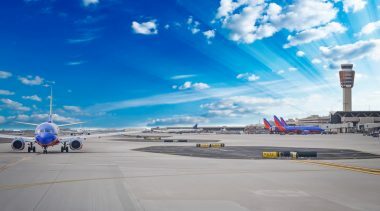 On the desirability of shifting the funding source from aviation taxes (paid to the Treasury) to ATC fees and charges (paid directly to the ANSP), the experts were nearly all in favor, citing good reasons. The 20 stakeholders were more divided, with eight favoring such fees, four against, and the rest undecided. One stakeholder made the incorrect assertion that a system to monitor air traffic and process fees “would have to be developed from scratch and would be difficult to do.” In fact, as reported in this newsletter, three commercial systems already exist, available to any ANSP that prefers not to develop and operate its own fee-collection system. An important addition to the final report, which was not included in the preliminary version, is that Nav Canada came up with a workable method for dealing with revenue decreases due to economic downturns. It created a reserve fund (called the Rate Stabilization Account) for this purpose, which has helped the company to avoid rate increases (except for a modest, short-term increase following 9/11) during nearly all of its 20 years in business thus far. In GAO’s February preliminary report, dealing with such revenue decreases was presented as a problem in need of a solution. The final report acknowledges Nav Canada’s proven solution. 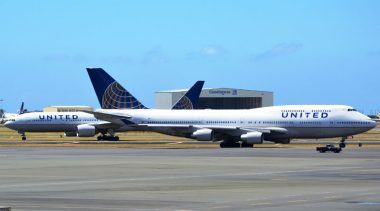 Among the stakeholders, there were the expected concerns that some user categories might pay more in ATC fees than they currently pay in aviation taxes. That’s true of business jets, but that concern was also raised by the stakeholder from the air cargo industry. Rather than the ICAO standard weight-distance formula, this person argued for a distance-only charge “because cargo gets severely penalized with the ICAO-recommended weight-based charge.” This could raise serious competitive questions between passenger planes carrying belly cargo (paying weight-distance) vs. all-cargo planes (paying weight-only fees). Also, if Fedex and UPS are paying ICAO-standard weight-distance fees everywhere else in the world, why should they pay lower ATC fees in U.S. airspace? The final report is less confusing than the earlier version about how much of the FAA’s budget comes from aviation excise taxes, and it suggests, via a stakeholder response, that some level of those taxes should continue in existence, to support continued Airport Improvement Program grants. But it also makes what I consider a foolish suggestion that some of the new ANSP’s ATC fee revenue could be turned over to the FAA to fund AIP and safety regulation. AIP should continue to be funded by aviation excise taxes appropriated by Congress (they would not stand for anything else! ), and FAA as a safety regulator should be funded out of the general fund, like all the other federal safety regulators. 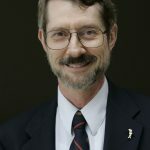 On the difficult question of whether the new ANSP should have to pay the government for the assets of the ATC system, the experts either said no, for good reasons, or said that this would depend on the organizational model of the ANSP: yes if it were for-profit, no if it were a government corporation, and split if it were a non-profit. Most of the aviation stakeholders declined to take a position on this question. One other set of responses caused me to think that some stakeholders don’t really understand what a self-funded, de-politicized ANSP is all about. On the question of facility consolidation, “several noted that political issues would continue to have an impact.” Removing the ANSP from the federal budget process and making it self-supporting is intended to exempt it from political micro-management, such as a member of Congress intervening to prevent the closure of a facility in his or her district. If that kind of micro-management remains after corporatization, much of the intended benefit will be lost. A high-stakes battle is under way between two similar-sounding surveillance technologies. ADS-B is the emerging global standard for ATC surveillance. It stands for automatic dependent surveillance—broadcast. That means a plane broadcasts its identity, direction, location etc. once per second (in domestic airspace) with built-in integrity and accuracy checks, the signal is picked up by either a ground station (now) or a satellite (near-future), and it’s transmitted to the relevant ANSP. ADS-B is mandated for the near future in most developed countries as an improved form of ATC surveillance compared with radar. ADS-C stands for automatic dependent surveillance—contract. That means the signal is sent out only as specified in a contract with the ANSP. ADS-C began serious use in the 1980s as part of a major improvement for position reporting in oceanic airspace where there is no radar coverage. The 1980s-era Future Air Navigation System (FANS) combined every-15-minute position reports using ADS-C with an early form of controller-pilot-datalink, and became widely adopted for long oceanic routes. The big question for the future is whether ADS-B will supplant FANS/ADS-C in oceanic airspace. Nav Canada and NATS are already employing ADS-B for the northern-most tracks across the North Atlantic, using ADS-B ground stations in places like Greenland and Iceland along the way. Once space-based ADS-B becomes operational, as planned in 2018, those ground stations would serve mostly as back-ups. There are no ground stations available for US-Asia or US-Australia routes across the Pacific, or for mid-Atlantic or south-Atlantic routes, either. There, FANS/ADS-C prevails. But space-based ADS-B would work on those routes, as well as polar routes. The coming battle will be mostly over separation standards and costs—and who bears those costs. ADS-C communicates using a system developed by ARINC (now Rockwell) called ACARS. FAA currently pays a significant part of the cost for ADS-C via an ARINC contract using Inmarsat or high frequency (HF) radio data link. Most long-range aircraft are FANS-equipped, and therefore obtain their ADS-C service over ACARS. Rockwell charges per minute, and at current prices a six-hour flight with every 15 minute updates would incur about $40 in charges. Increasing the reporting rate just to once per minute would increase that to about $600. But that would still be far less frequent than space-based ADS-B’s every-8-seconds updates or domestic ADS-B’s once per second. Separation standards in (non-radar) oceanic airspace have been very large historically, due to the uncertain location of each plane, the lack of either accuracy or integrity checks in the ADS-C message, and the well-known shortcomings of HF radio. FANS updates enabled ICAO and FAA to reduce in-trail separation for FANS-equipped aircraft from 80 nm to 30 nm in U.S. oceanic airspace. But FANS is installed mostly on wide-body long-haul aircraft. 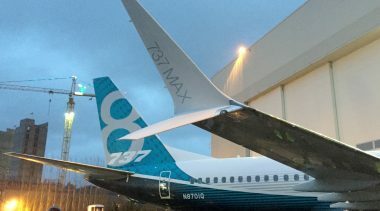 U.S. narrow-body jets lack FANS, and their airline operators are not inclined to spend the money to add that equipment and pay the communications charges. Therefore, oceanic routes between places like New York and various island nations in the Caribbean must still use ancient “procedural” separation of 80 nm. The RTCA report on ATC problems in the Caribbean that I critiqued in the June issue of this newsletter called for reducing separation standards there to 50 nm—but only for FANS-equipped planes. Hence, the report was calling for continued dependence on ADS-C, despite recommending the addition of ADS-B ground stations in the Caribbean. As I wrote then, and repeat now, a better solution for improved ATC in the Caribbean is space-based ADS-B. JetBlue and American, the largest U.S. carriers serving those markets, do so using narrow-body jets that will all be ADS-B equipped as of 2020. With space-based ADS-B, that should make possible 30 nm separation on those routes, and eventually even the 15 nm separation now planned for the Nav Canada/NATS tracks on the North Atlantic. Why Is AOPA Still Fighting “the Battle Against User Fees”? During the past 18 months of debate over proposed conversion of the FAA’s Air Traffic Organization into a self-funded, stakeholder-governed ANSP, it’s been refreshing that general aviation group AOPA has not campaigned against this reform. While insisting that it continues defending its members from having to pay fees for every ATC transaction, AOPA has largely held its fire, since the measure passed by the House Transportation & Infrastructure Committee in February explicitly—by statute—prohibited charging transaction fees to general aviation. This position stands in stark contrast to the war being waged by business-jet group NBAA, which has assembled a coalition of small-city mayors and rural interests to battle an alleged takeover of the ATC system by the big four airlines that would supposedly reduce or eliminate ATC services to small towns and rural areas. But when I opened the November issue of AOPA Pilot, I was surprised and dismayed to read Editor-in-Chief Thomas B. Haines’ editorial, “Having a Fee-Stroke: Why the Battle Against User Fees Matters.” In his usual well-written style, Haines recounted a recent European trip with a GA pilot friend. They encountered landing fees even at very small airports, mandatory airport handling fees at some airports, and ATC fees for an IFR trip from London to the south of France in a Beech Baron totaling $186 one-way. Haines also discussed nuisance-level ATC fees in New Zealand and charges for telephone weather briefings in Germany. Clearly those fees and charges are real, and they definitely make GA flying more expensive in Europe than it is here (and make GA flying a smaller fraction of flight activity, as a result). But let’s note two points that Haines did not make in his article. First, most of the European fees that he covered are airport charges, not ATC charges. Second, and even more important, the one country he ignored is Canada. That’s a significant omission, for two reasons. First, Canada’s corporatized ANSP, NavCanada, does not charge transaction fees to piston GA planes. They charge what amounts to an annual registration fee: C$68 for planes weighing less than 2 tons and C$227 for planes between 2 and 3 tons. Second, the ATC corporation proposal championed by Rep. Bill Shuster (R, PA) and passed by the T&I Committee in February is modeled explicitly on Nav Canada. Not only does it exempt piston GA from per-transaction fees; it does not even include a nominal annual fee like Nav Canada’s. Most private pilots likely don’t know either of the above facts, and AOPA is derelict in its duty to give them an accurate rendition of what is and is not being proposed for U.S. ATC. Most private pilots have probably heard NBAA’s deceitful claims that the proposed U.S. ATC corporatization would harm general and business aviation and small-town and rural America. They have no way of knowing that no such adverse effects have occurred in Canada, over the 20 years of Nav Canada’s highly successful existence. AOPA has spent three decades or so defending its members against the specter of ruinously expensive user fees. No such fees are in sight, and the leading proposal for ATC reform would ban such fees by statute. Instead of misleading its members, it’s time for AOPA to declare victory and work constructively to ensure that the 2017 version continues to protect its GA members. 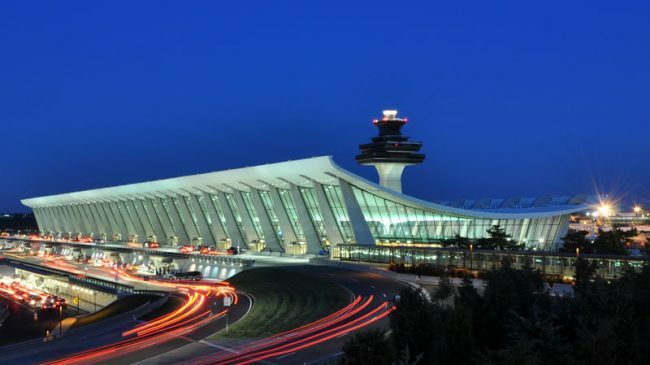 Although controllers’ union NATCA has been supportive of converting the Air Traffic Organization into a nonprofit corporation similar to Nav Canada, the other FAA unions have come out strongly against it. That’s particularly the case for Professional Aviation Safety Specialists, the AFL-CIO union that maintains over 71,000 pieces of ground-based equipment used 24/7 to provide ATC services. PASS is second only to NATCA in numbers of ATO employees, and their opposition has puzzled me for several years. Let me explain. Over the past decade of budget difficulties, FAA’s capital budget (Facilities & Equipment, aka F&E) has been roughly constant, which puts it today about $1 billion a year short of what it had been projected to be by now. As a result, not only has the funding for NextGen modernization been squeezed; so has funding to sustain its vast array of legacy facilities (aging towers, TRACONS, and centers) and equipment (aging VORs, DMEs, and radars). One way FAA has coped with this dilemma is to acquire NextGen systems via long-term service contracts, rather than buying the equipment up-front, then owning, operating, and maintaining it. An early version of this was used for the FTI communications backbone some years ago. More recently, the major system procured this way was the nationwide network of ADS-B ground stations, awarded to ITT Exelis in 2007. Exelis purchased all the equipment, developed all the ground stations (which were declared operational in 2014) and will operate and maintain them through 2035, at a total cost now estimated at $4.5 billion (but spread out over 28 years). More recently, the DataComm procurement, won by Harris Corp., is being structured the same way. Yet another such service contract has just been proposed—by Chris Giacoponello and John Kefaliotis in an article in the Fall 2016 issue of The Journal of Air Traffic Control. Discussing the aged and technically obsolete ground equipment that the ATC system continues to rely on (VORs, radars, etc. ), they explained why replacing this legacy hardware with state-of-the art equipment would significantly reduce operating and maintenance costs, energy consumption, etc. But because of the lack of funds in the F&E budget, they suggested a service-based contracting approach for this large-scale equipment replacement. As with the ADS-B ground stations, the contractor would own, operate, and maintain these systems and would be paid service fees over a long enough time period to recover their up-front capital costs. A significant side effect of this trend is to reduce the need for technicians on the ATO’s payroll, such as those who constitute the bulk of PASS’s membership. From a strategic perspective, this offers the prospect of a slow death spiral for the union under the FAA’s organizational and funding status quo. Yet given that status quo, it’s hard to see that the FAA has any other good option for replacing obsolete facilities and equipment in the time frame where this is required. By contrast, self-funded ANSPs like Nav Canada, DFS, NATS, and Airservices Australia have their own revenue stream from the fees that airspace users pay directly to the ANSP as they use the system. That kind of revenue stream is bondable, which means that the ANSP can go to the bond market and raise billions of dollars in capital modernization funds to purchase state-of-the-art technology and build new, consolidated ATC facilities to replace aging towers, TRACONs, and centers. Under that model, the ANSP continues to own, operate, and maintain all of its facilities and equipment. Wouldn’t that be a brighter future for PASS than the downward trend of technicians inherent in expanded FAA use of service contracts for capital modernization? Perhaps PASS should take a more careful look at the alternatives facing it. Side-by-Side Remote Tower Test at Leesburg. The second phase of the Saab Sensis remote tower demonstration at the non-towered airport of Leesburg, VA took place from October 11th to November 10th. During those weeks the company operated a mobile (conventional) control tower while controllers in the prototype remote tower did “shadow” work, tracking but not talking with aircraft using the airport. There is no word from FAA at this point about when they might decide that remote towers are a safe and effective means on managing traffic at small airports. Tokyo Haneda to Get GPS Landing System. NEC Corporation has signed a contract with Japanese ANSP JANS to install the country’s first ground-based augmentation system (GBAS) at Tokyo’s Haneda Airport. The contract also calls for installing a space-based augmentation system (SBAS) at the airport. JANS plans to install GBAS at other domestic airports in coming years. ADS-B/In Coming to Alaska Airlines. NASA has announced that its Langley Research Center will purchase and install ADS-B/In equipment in three Alaska Airlines 737-900ER aircraft. The purpose is to test a NASA-developed system called Traffic Aware Strategic Aircrew Requests (TASAR). It synthesizes data from several sources, including ADS-B/In, to suggest changes to a route or altitude that will reduce either flight time or fuel burn. The system will reside on electronic flight bags in the cockpit. Dutch and German ANSPs Purchase Common Center Automation. 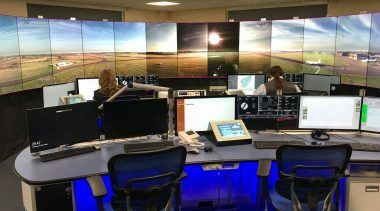 Air Traffic Control of the Netherlands (LVNL) and Deutsche Flugsicherung (DFS) have signed contracts with Indra under which all their en-route centers (Amsterdam, Bremen, Karlsruhe, Langen, and Munich) will use the new iTEC Center Automation System (iCAS). The new automation system will be used for lower airspace managed by these centers. It is compatible with the iCAS already in use in the Karlsruhe Upper Airspace Control Center in Germany. DFS is one of the partners in the iTEC Alliance, along with the ANSPs of Lithuania, Norway, Poland, Spain, and the U.K. Space-Based ADS-B News. Space-based ADS-B provider Aireon on Nov. 16th announced that it has signed a Memorandum of Understanding with DFS, the German ANSP, to evaluate the business and safety case for using space-based ADS-B services in their airspace. In other news, the company announced the completion of site acceptance tests by the Irish Aviation Authority for receiving surveillance data from the satellite constellation. In addition to making use of Aireon’s data in IAA’s airspace, the ANSP will be the host agency for the planned Aireon ALERT system for global aircraft tracking. Argentina’s New ANSP Investing in Upgrades. Only months into its existence as a self-supporting government ATC corporation, EANA has announced an initial $121 million investment program to upgrade its facilities and technology. Argentine air traffic control was provided by the military until 2007, at which point a Civil Aviation Administration was created, combining air safety regulation and ATC service provision in a civil-government agency. Earlier this year, EANA was separated from that CAA and converted into an ANSP supported by ATC fees and charges, consistent with ICAO recommended practices. ENAV Completes ATC Takeover at Military Airports. On Nov. 10th, Italian ANSP ENAV took over, from the Italian Air Force, tower and approach control service at the Rimini Airport. This was the fifth such takeover in two years, with previous ones taking place at Rome Ciampino, Verona, Treviso, and Brindisi. ENAV’s CEO Roberta Neri said the Rimini transition completes the program, under which ENAV has become the ATC provider at Italy’s joint-use airports. Pacific Islands to Deploy ADS-B Surveillance. The ANSPs of Kiribati, Samoa, Tonga, Tuvalu, and Vanuatu will deploy a common ADS-B surveillance system via eight ground stations, greatly increasing surveillance within these islands and surrounding oceanic airspace. The system will be supplied by Indra, which won an international competition. Update on Electronic Flight Strips. John Morris of Nav Canada emailed to note that Nav Canada has installed its electronic flight strips in more countries than I stated in an article last issue. He attached a NAVCANatm Worldwide Project History document, including a map showing how many workstations they have provided to ANSPs worldwide. Customers whose systems include electronic flight strips, besides Canada itself, are Australia, Denmark, the Dutch Caribbean, India, Italy, UAE, and UK.